The Krogen Express 52: Graceful at any speed. It was a chilly day by Florida standards, but the 72-degree, midday high was the perfect tonic for my mid- Atlantic bones. I drove along Florida’s Turnpike with the windows down. The locals looked at me as if I were driving unclothed through a snowstorm. 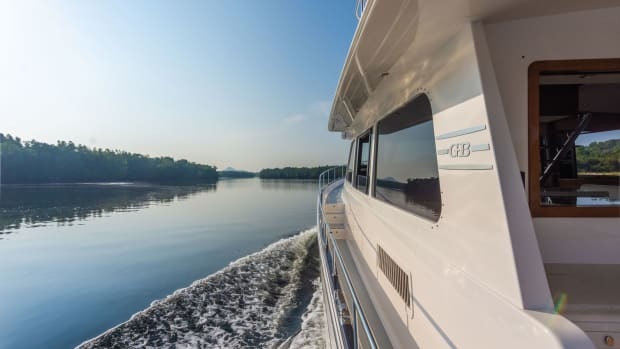 The Krogen Express 52 has a spacious bridge deck with excellent sightlines. Let them gawk, I thought as I arrived with a smile in Fort Pierce, where Krogen Express principal John Tegtmeyer awaited with the Krogen Express 52. I had not only perfect weather, but also a perfect testing ground for this craft, with the protected Intracoastal Waterway and the open Atlantic Ocean nearby. 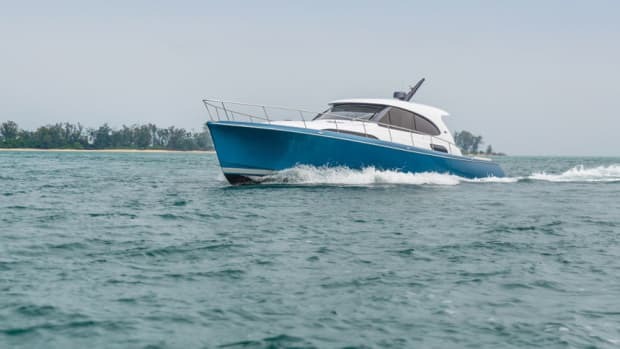 The 52 has the salty, rugged appearance of a trawler, but something about her design also gives her the stylish look of a classic motoryacht. Maybe it’s her sheerline, which rises gracefully to a wide-flare, plumb bow. 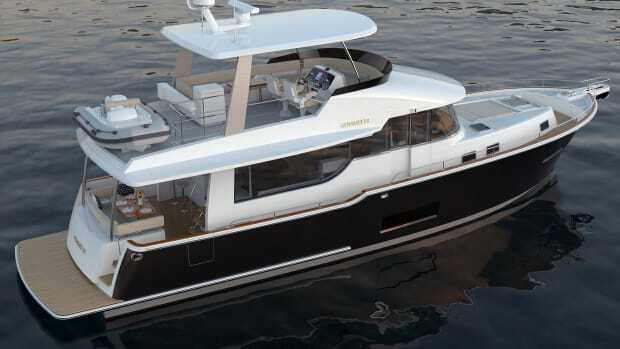 Or, possibly, it’s the way the cabin house, flybridge and deck lines mirror the cupped shape of the hull. Manhattan commuter yachts. 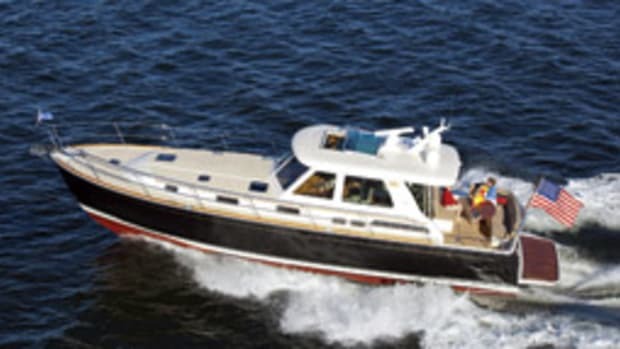 The result was the Krogen Express 49, which launched in 1996 and had a 16-boat production run before Tegtmeyer and his wife, Betsie, took over in 2001. A queen-size island berth, lots of natural light and ample stowage are the highlights of the master stateroom. They’ve tinkered with the design ever since, making more than 150 changes so far. The saloon and galley area is roomy and comfortable. On my test boat, the main saloon and galley were immediately forward of the cockpit, accessed via an extra-wide, single-panel door. The decor was modern, and the cherry wood, white trim accents and cherry-and-holly sole gave the KE52’s interior a Down East feel. An L-shaped lounge wrapped around a teak table, with two swiveling lounge chairs to port and a flat-screen television in the back side of the kitchen counter. Farther forward, the galley had home-style features such as a flip-down tray at the sink for stowing sponges and scrubbies. There were full-size appliances, including an LPG-fired stove/oven, a refrigerator/freezer and a microwave. Deep fiddles framed the counters — a welcome addition for couples who cook underway. Three steps to port of the galley lead up to the bridge deck. For die-hard paper chart and chart book navigators (like me), there was a starboard-side chart table with twin chart-size drawers beneath it. Just to port was the helm, with a wheel fashioned from solid teak. There’s space for dual multifunction displays and engine instrumentation, and the captain’s chair swiveled. Doors on either side opened to the side decks. 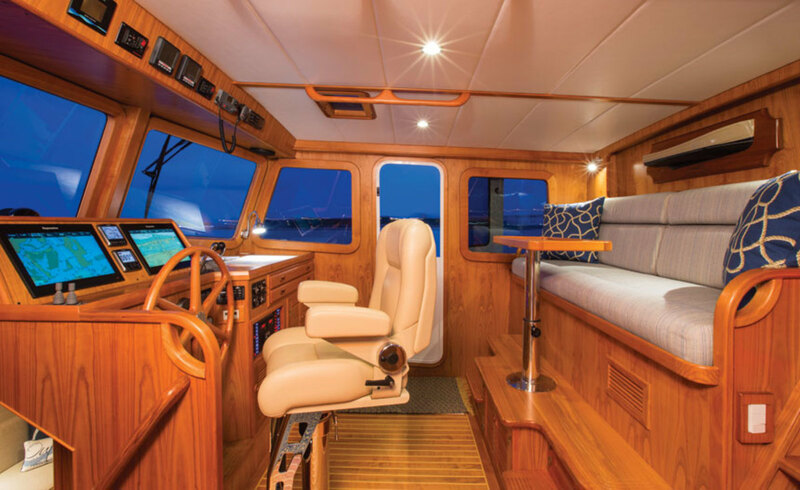 Abaft the helm was an elevated bench and a teak table, near steps that lead up to the flybridge. 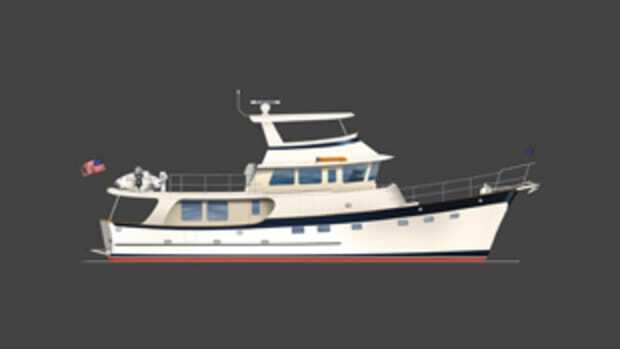 Every KE52 comes with a half-hull model mounted on the after bridge-deck bulkhead. It’s a nice touch. Forward and down from the bridge deck were the two staterooms. The en suite master was in the bow with a queen-size island berth. Abaft it was the guest stateroom, which had a desk, an L-shaped lounge and a Pullman berth. Tegtmeyer says owners typically customize this stateroom; our test boat had a home office here. A guest head with shower was across the companionway, to port. 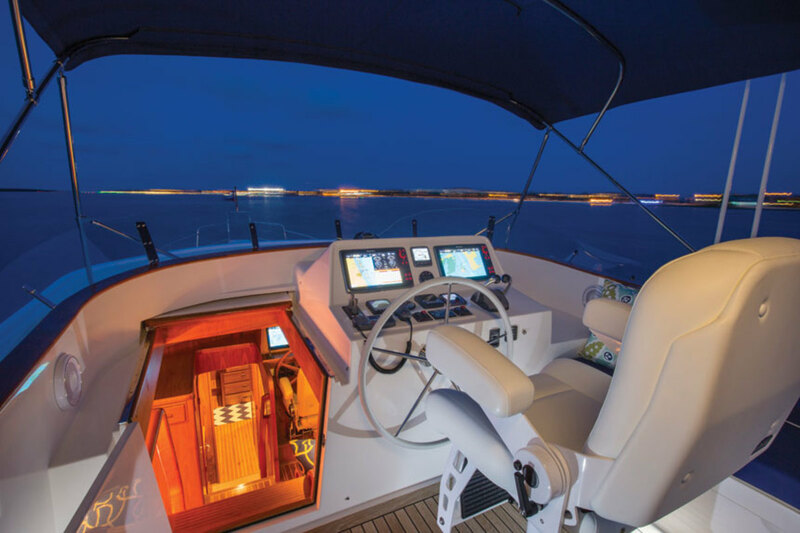 The bridge deck helm provides a commanding view of the world around the boat. It was breezy as we untied the dock lines. 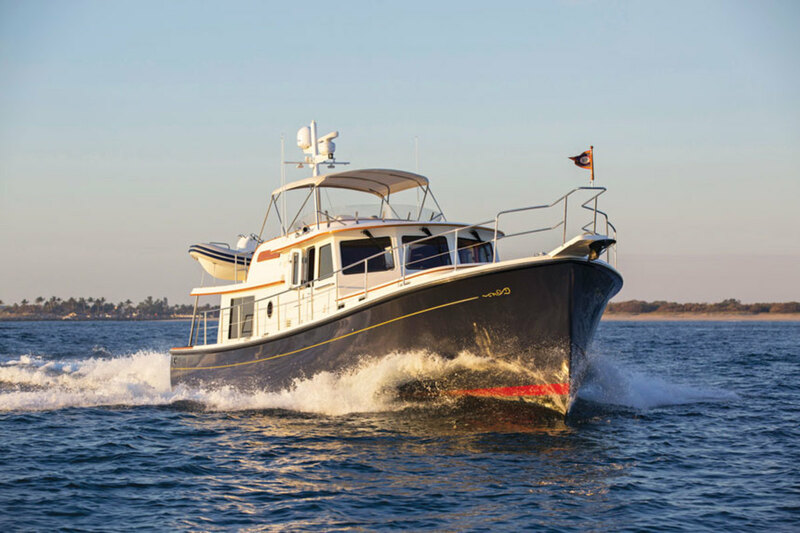 Getting underway was easy, with the KE52’s twin screws and bow thruster helping us shimmy along the narrow marina channels. 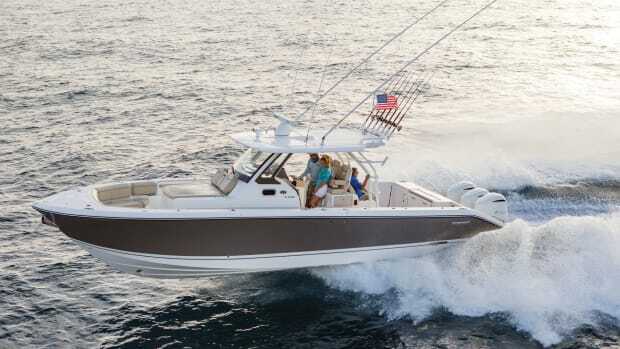 Maneuvering felt easiest from the flybridge, where there’s excellent fore and aft visibility. We entered the Intracoastal Waterway at Mile Marker 966 and headed north toward Fort Pierce Inlet. At around 10 knots, the KE52 was quiet and vibration-free. The fuzzy but durable elk hide wrapping the stainless-steel destroyer wheel at the flybridge helm felt good under my fingertips. Teak decking made things comfortable underfoot. 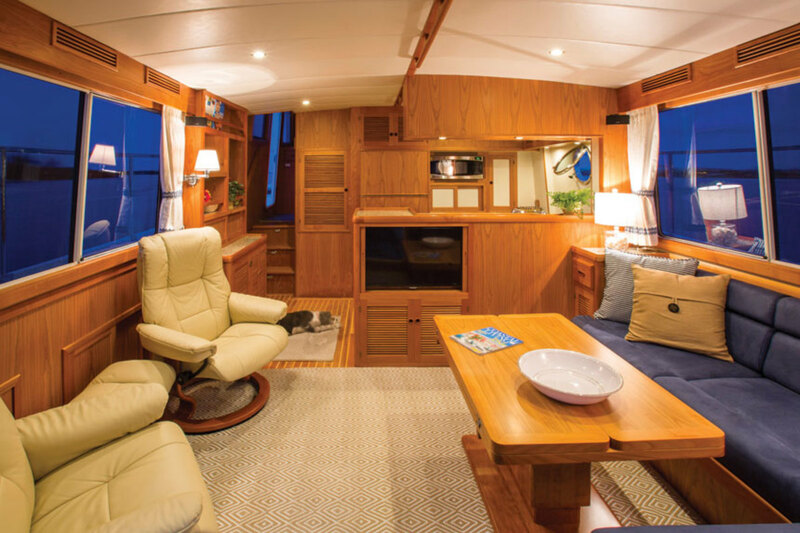 An L-shaped lounge was abaft the flybridge helm, with additional deck space farther aft for a few folding chairs. To me, it looked like a great place for happy hour snacks and libations. Far aft was space for a tender that could be maneuvered with an electric-powered crane. We cleared the inlet just past noon as a stiff northwest breeze patted down any sign of ocean swell. She was well behaved and nimble as I pushed her hard through a series of figure eights. 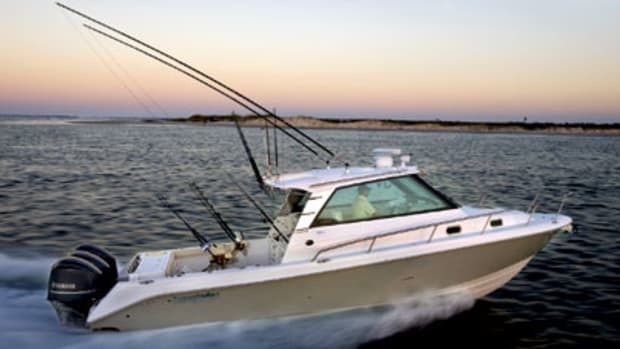 Her top speed was 22 knots at a 45 gph fuel burn with the optional 550-hp Cummins QSB6.7 diesels (480-hp Yanmar 6LY3A-ETP diesels are standard). Throttling back to 17 knots cut the fuel burn to 28 gph, while slowing to 10 knots sipped only 6 to 7 gph. 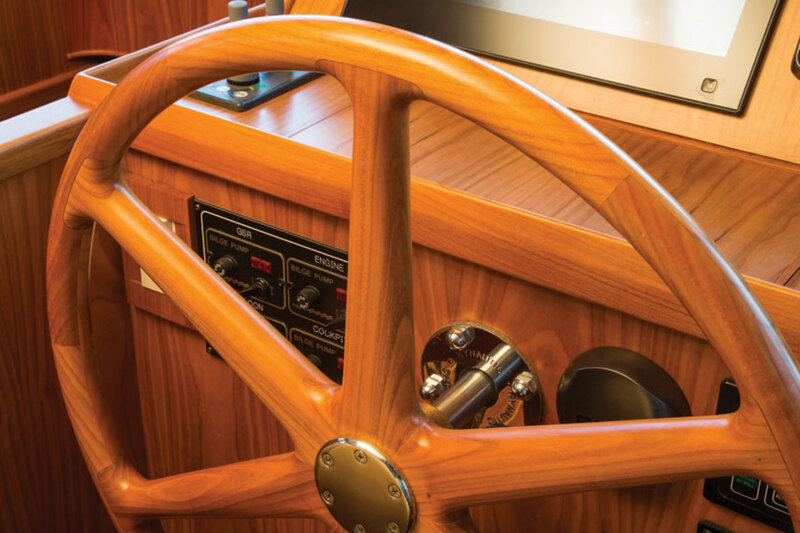 Artisanal touches, such as a solid cherry steering wheel, abound on the Krogen Express 52. The crew was hungry, so we ran back through the inlet and hit a dockside tiki bar for lunch. Tegtmeyer jostled the throttles and bow thruster controls to back us into a tricky fuel-dock slip that was being washed sideways with a strong current. 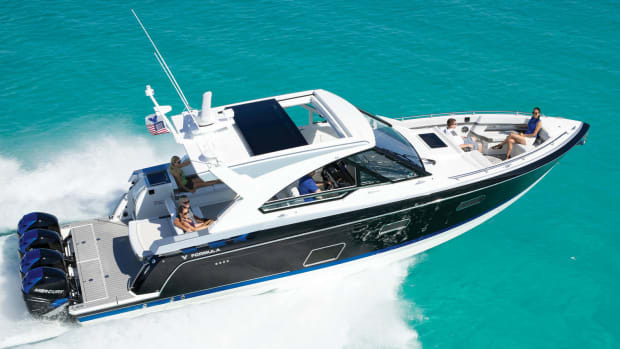 Two people can handle this boat with a bit of practice, even in challenging conditions. A few burgers and a pile of fries later, we headed back to the marina. I thought about customizations I might request if the KE52 were my boat. I’d add inlaid teak strips on each stair tread for extra traction, along with sacrificial bare teak pads to keep the stair risers looking perfect. But otherwise, I’d keep her as-is, and that’s a pretty small wish list. 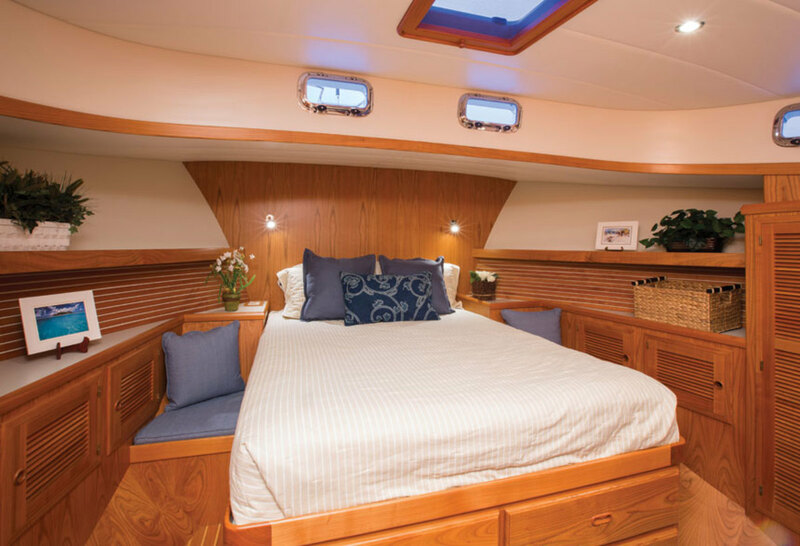 The systems and structure were already well thought out, and the bilges and machinery areas were finished with the kind of attention to detail that I’d expect at a $1.9 million price point. I’d point her bow toward the Caribbean, for starters. Alaska doesn’t sound bad, either. With a boat like this, I’d feel free to dream big.